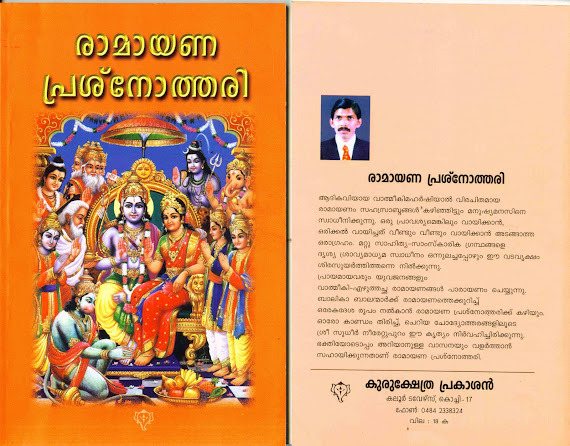 HINDUTVA was not mere dry knowledge confined to the intellectual speculations of a few thinkers sitting in their forest hermitages. 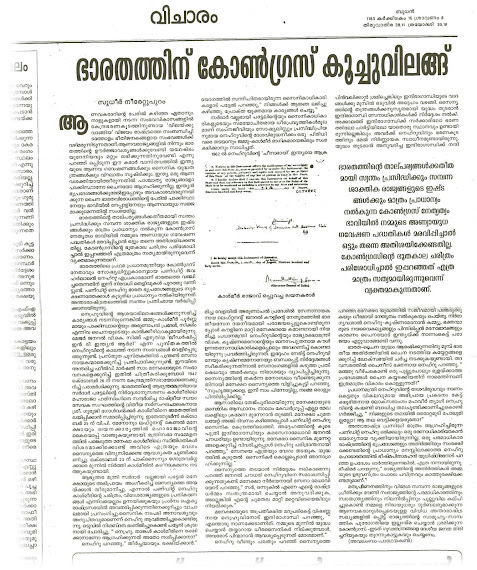 It was a living thought driving our ancestors - thinkers,administrators, merchants, scientists, artistes and philosophers - to reach distant lands carrying that message of world brotherhood. 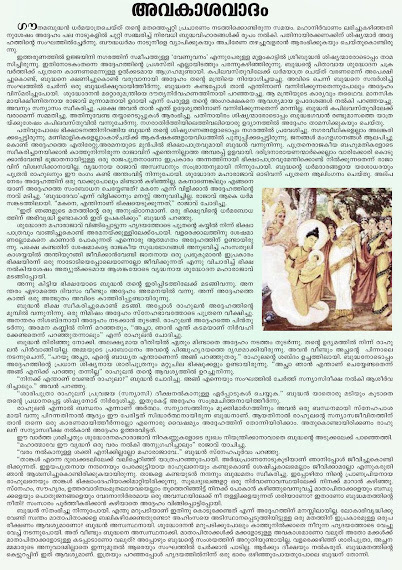 Wherever they stepped,they taught the local people the spiritual and cultural values of life, taught them the sciences of material prosperity as well and built up a homogeneous brotherhood of nations under their benign wings. 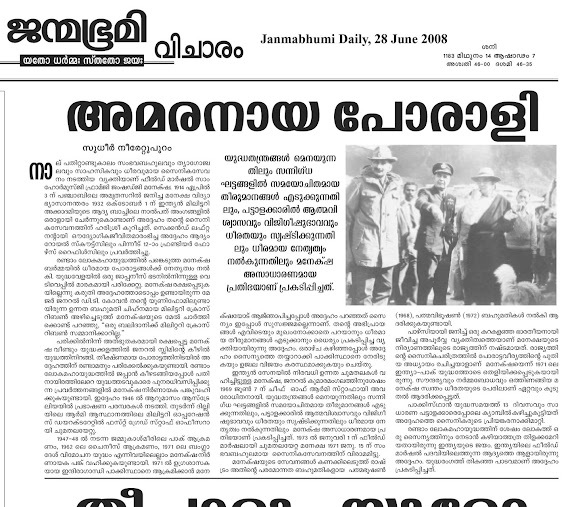 Our Hindusociety - strong,self-confident and self-effulgent - acted as the fulcrumof that far-flung empire of the Spirit. 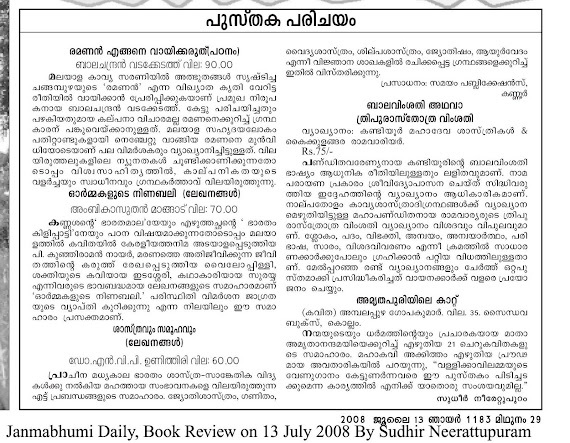 Aranmula is a small village in Kerala, India. 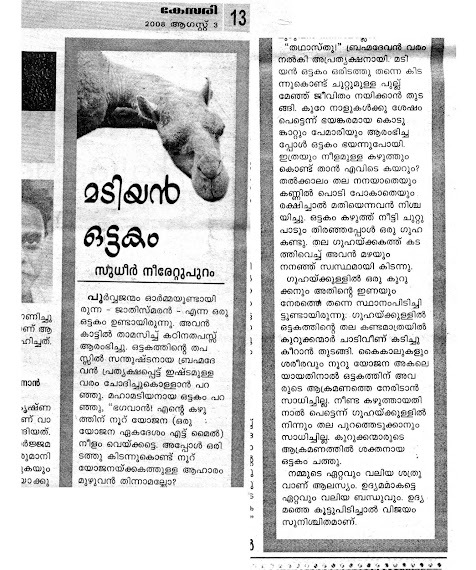 UNESCO is announced it as a Traditional Village. 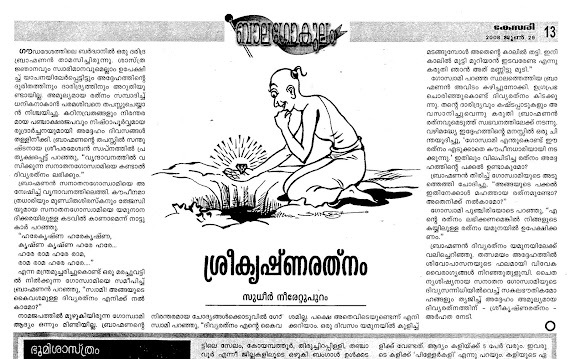 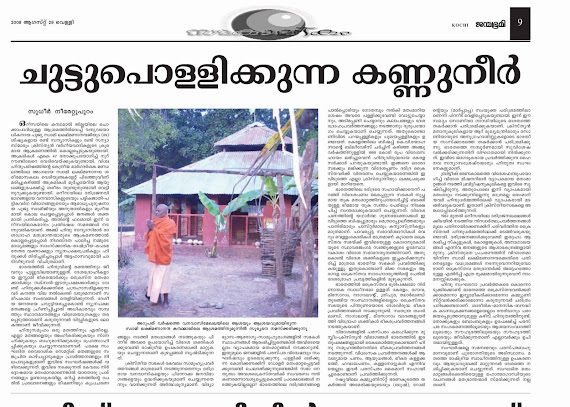 The a ancient culture of Aranmula was treatened by the greedy politicians and risches. 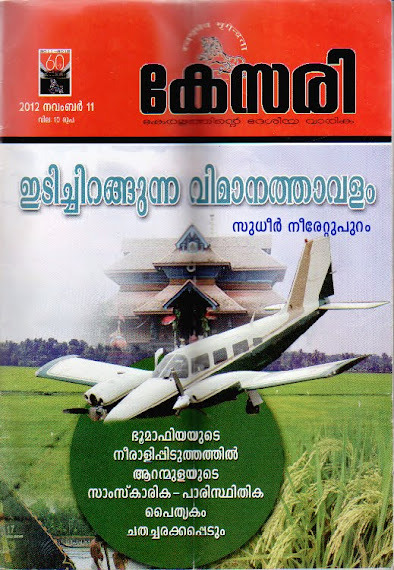 They are trying to distroy the paddy fields,old temples, cultural centres on the name of Airport. 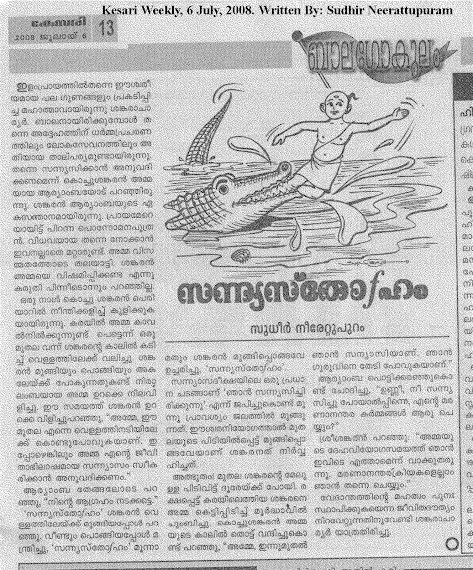 The people in Aranmula were agitating against this mega project. 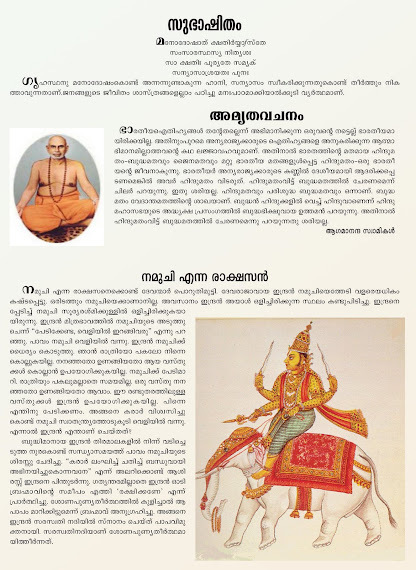 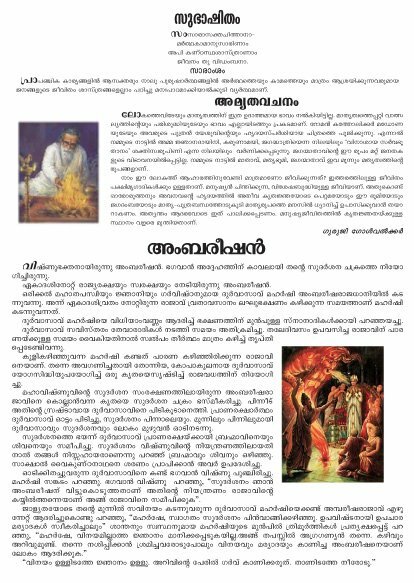 Kesari weekly published an article about this issue elaborating its various cultural, political, religious, financial aspects. 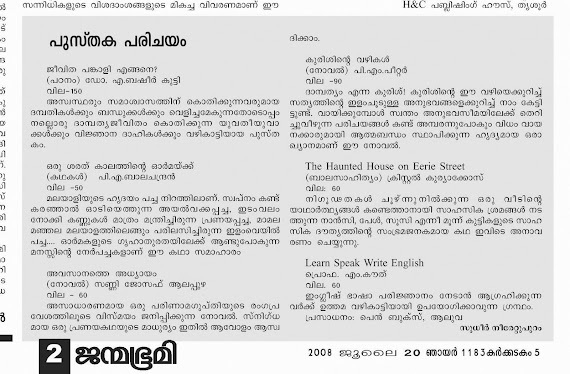 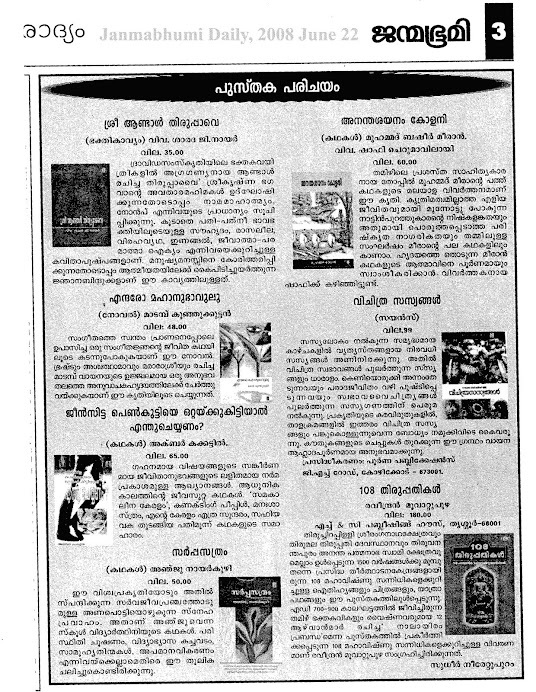 (Kesary weekly, 2012 November 11). 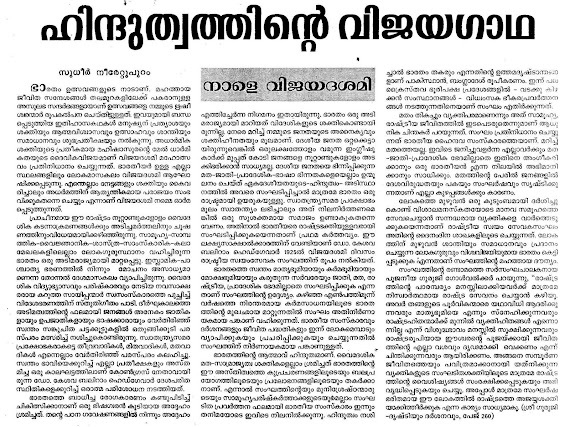 Written by : Sudhir Neerattupuram. 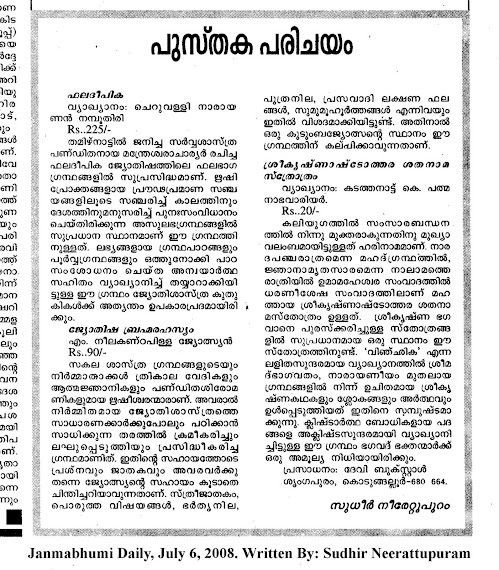 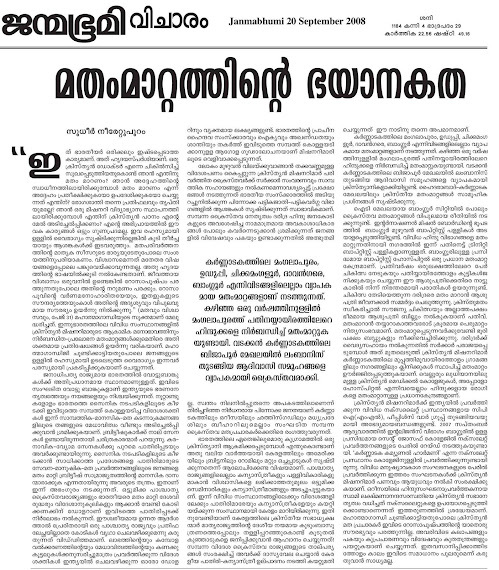 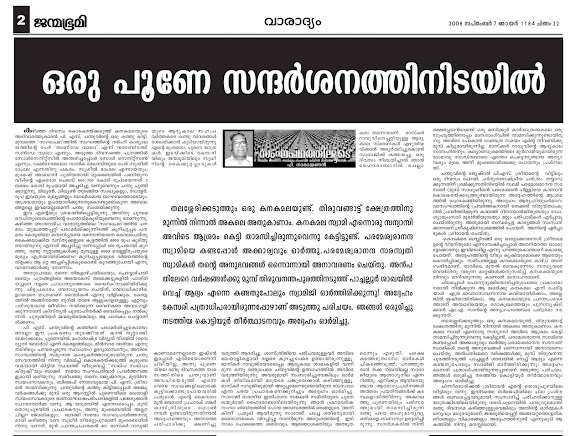 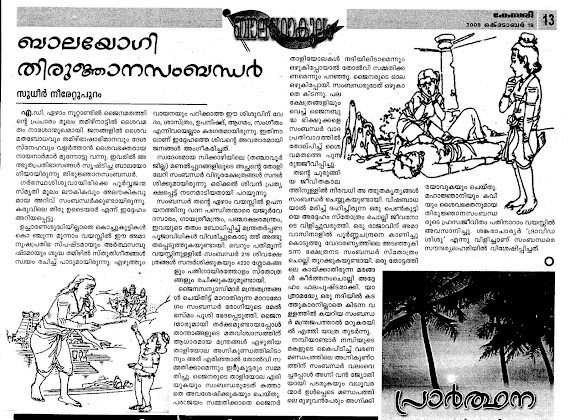 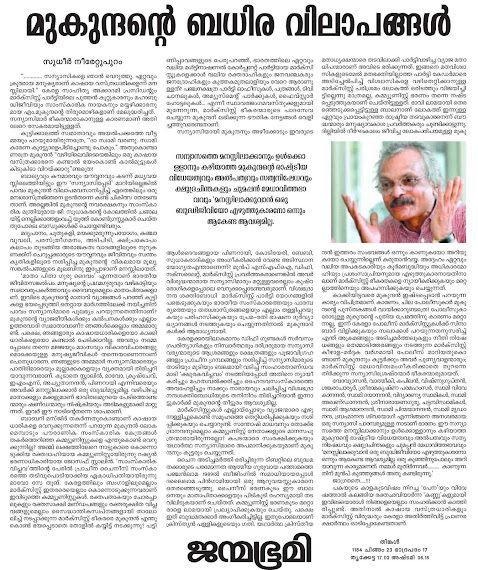 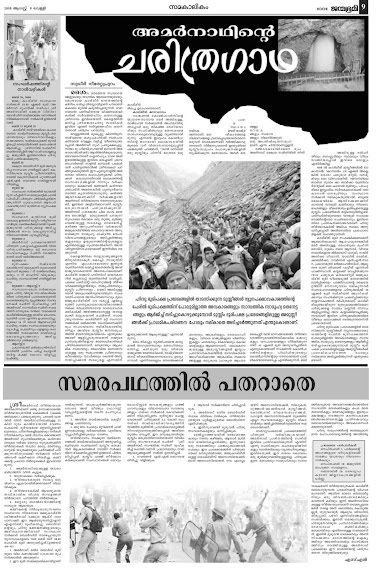 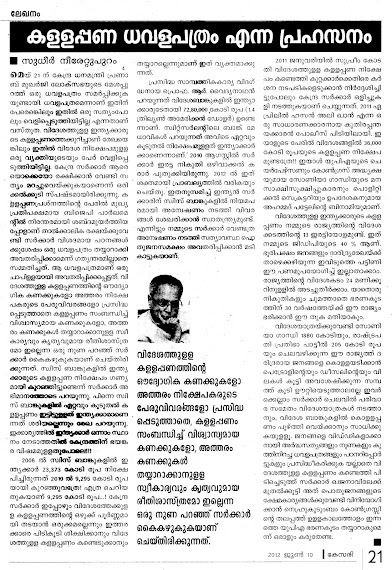 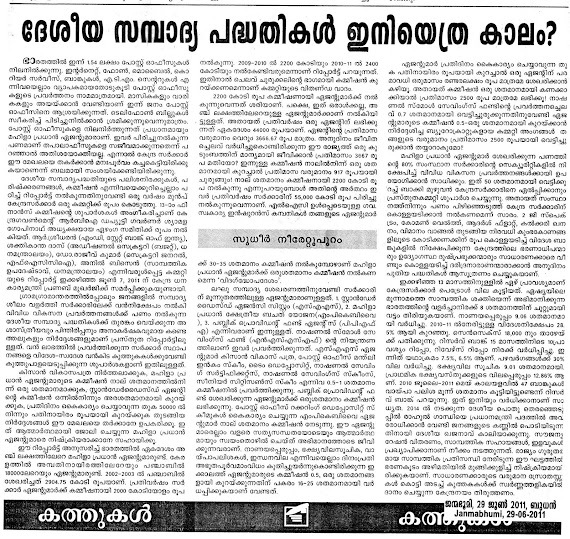 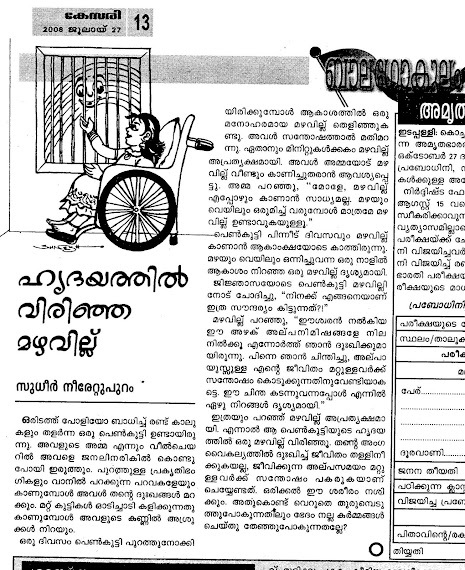 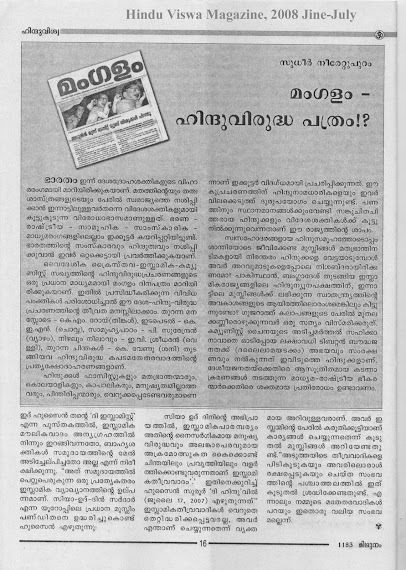 An article published in Kesari Weekly of Sudhir Neerattupuram on 25-03-2012 regarding agitation against Aranmula Airport. 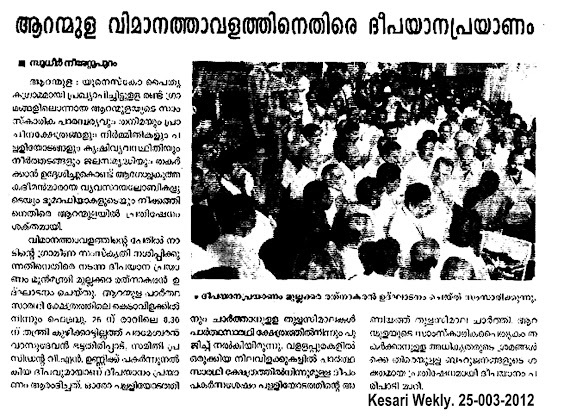 V. Nuraleedharan (BJP State President) also attend the meeting held by Palloyoda-Pallivilakku Samrakshnana Samiti. 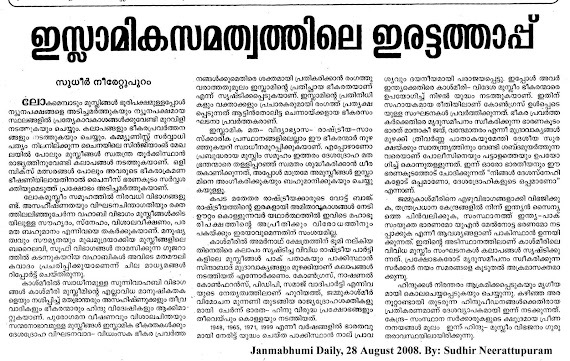 Sudhir Neerattupuram's book "Ramayan Prashnothiri"
Sudhir Neerattupuram's essay "Victory story of Hindutva"
Sudhir Neerattupuram's essay 'Hindutvathinte Vijayagadha" (Victory of Hindutva) published in Janmabhumi daily on October 8, 2008. 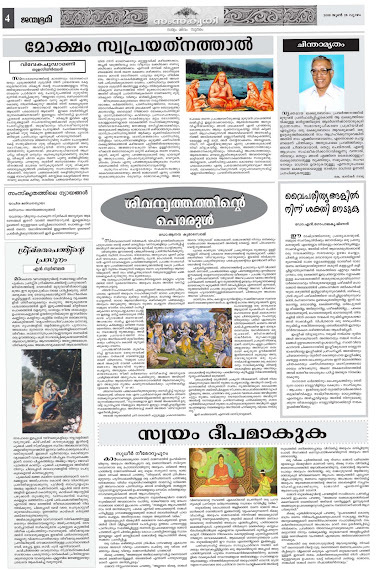 It explains the brief story of RSS, which is started on 1925's Vijayadasami day by Dr. Keshavrao Baliram Hedgewar.